The Fläpps State Secretary of Ambivalenz is a folding secretary for the wall. When folded in, the secretary has an extremely thin overall depth of only 6 cm. Only when it is unfolded does it show off its full potential. The folded out panel has a base area of 40 x 70 cm. It can be used to work on, eat, play or do arts and crafts. The secretary is ideal as a desk in the study or children's room, as a dining table in the kitchen or as a dressing table in the bedroom. The table can be fitted at any height and can therefore serve as a foldable standing table. 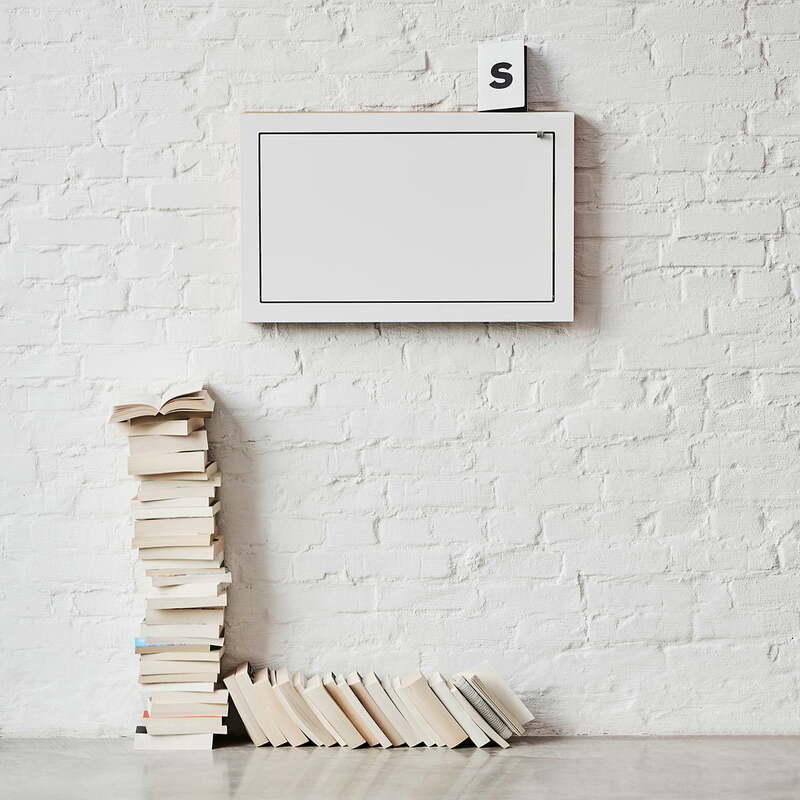 An internal, minimalistic wall pocket made of canvas also offers space for a laptop, power supply unit, magazine and the like. 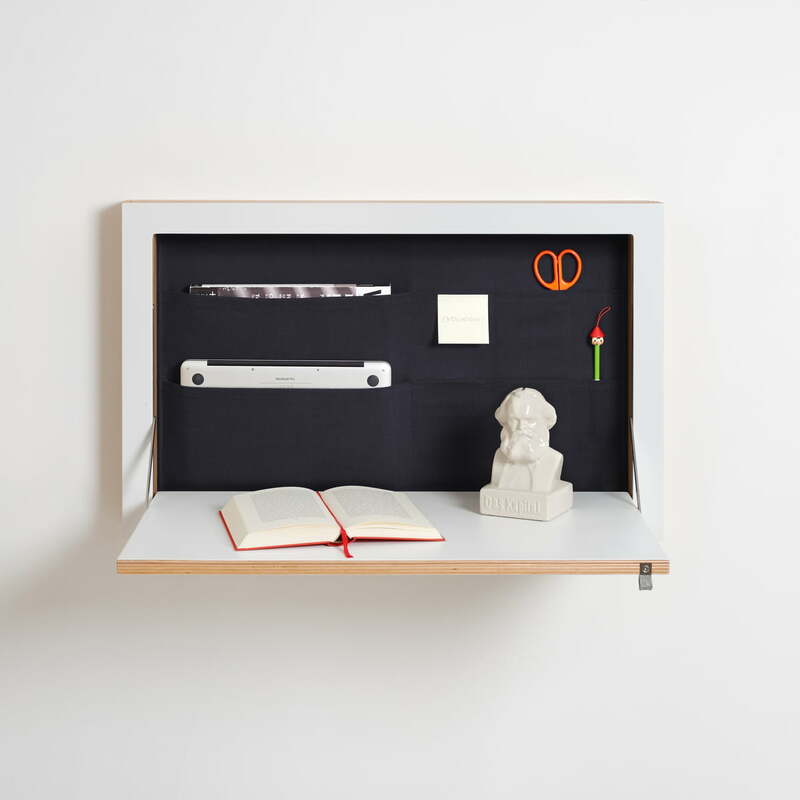 The Fläpps State Secretary by Ambivalenz is made of multiplex birch wood and has stainless steel folding mechanisms. 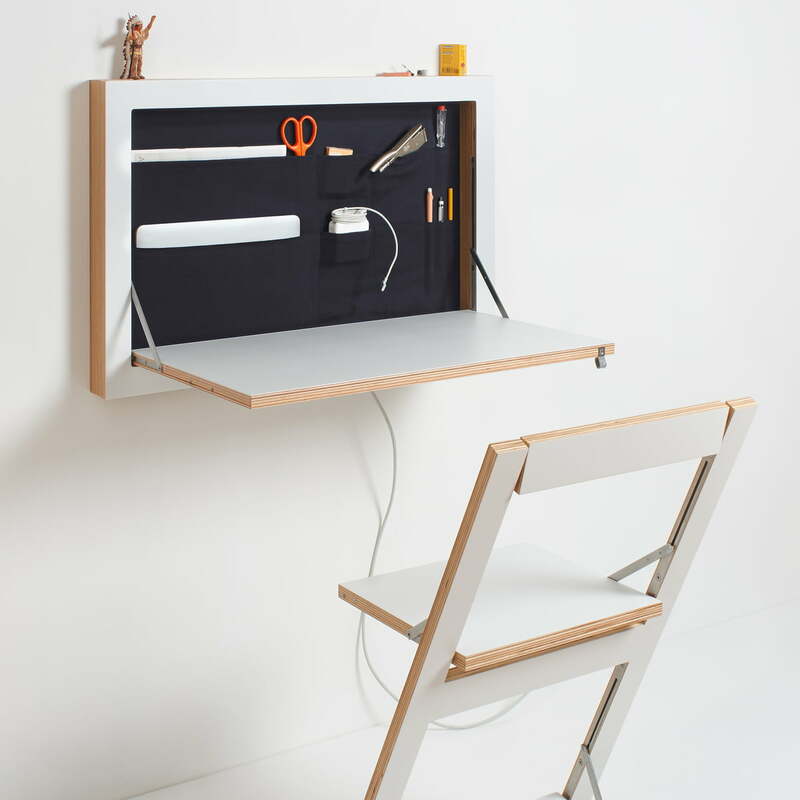 Hand-painted, the secretary is available in various colours and a small felt loop makes it easier to unfold the worktop. Isolated product image of the Fläpps folding chair by Ambivalenz in white. 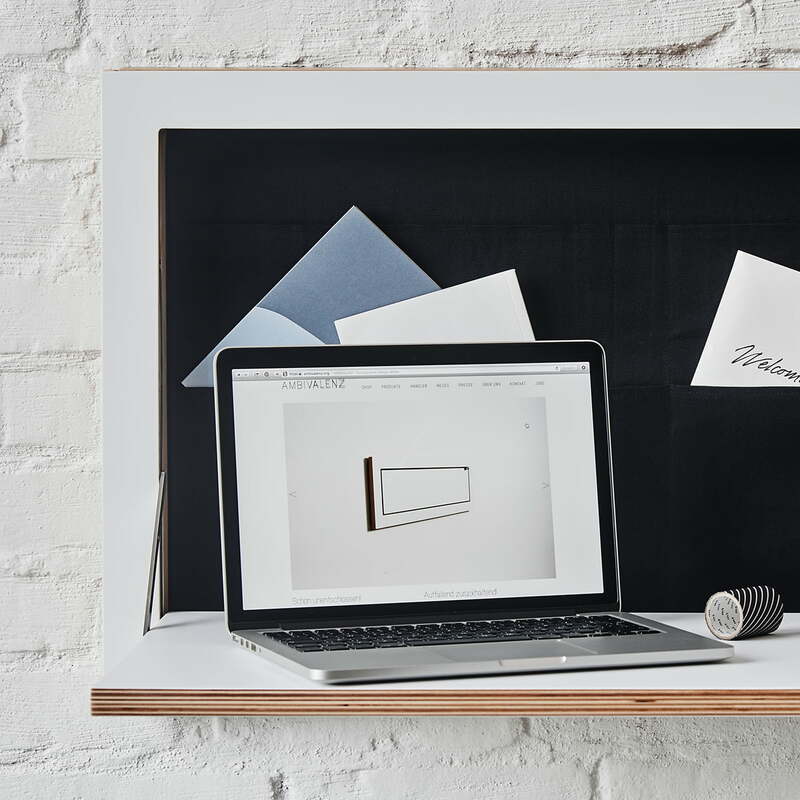 The secretary is made of birch wood, stainless steel and features a canvas wall pocket. The secretary is ideal as a desk in the office or children's room. As a dining table in the kitchen or as a dressing table in the bedroom. The table can be fitted at any height and can therefore serve as a foldable standing table. 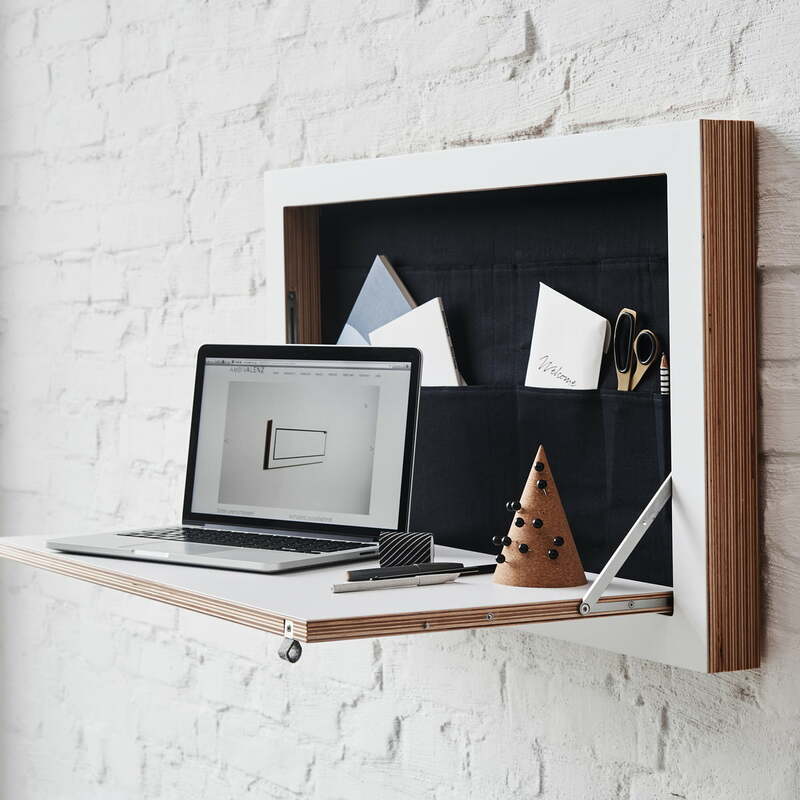 Lifestyle product image of the Fläpps State Secretary by Ambivalenz: The Fläpps State Secretary by Ambivalenz is made of multiplex birch wood and has stainless steel folding mechanisms. 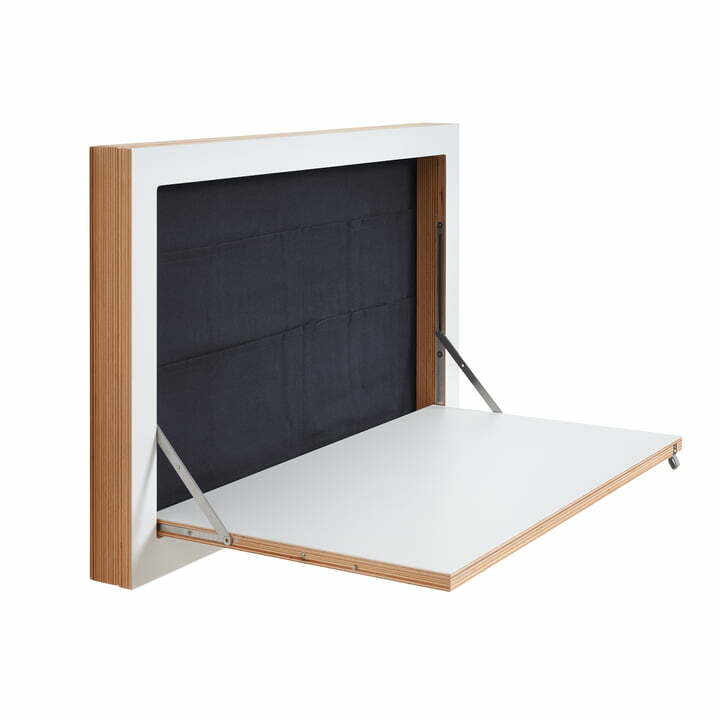 Lifestyle product image of the Fläpps State Secretary by Ambivalenz: The folded out panel has a base area of 40 x 70 cm. It can be used to work on, eat, play or do arts and crafts. The Fläpps State Secretary of Ambivalenz is a folding secretary for the wall. When folded in, the secretary has an extremely thin overall depth of only 6 cm. However, only when it is unfolded does it show off its full potential. 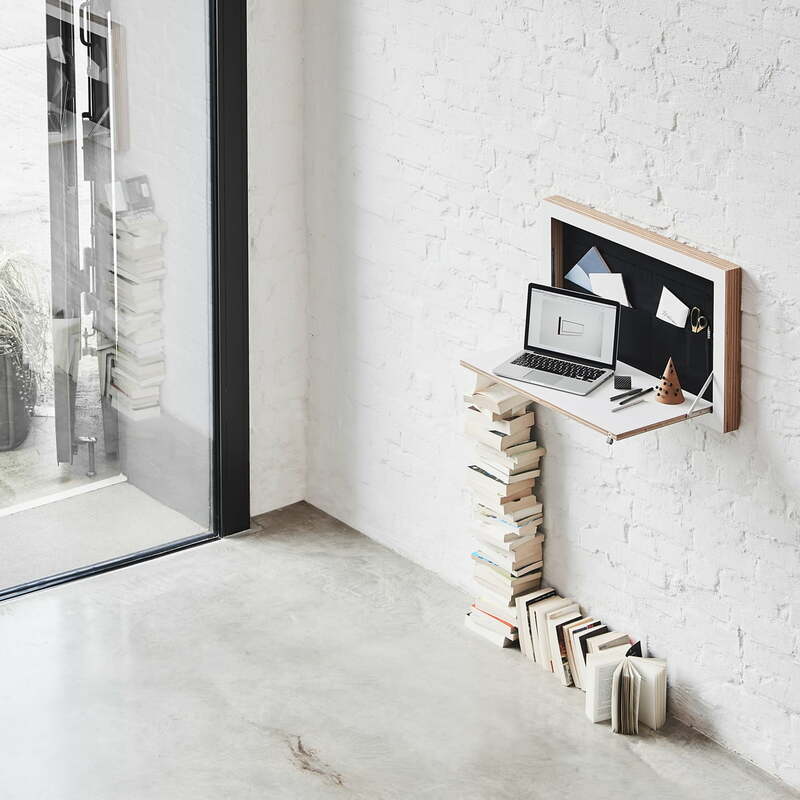 Fläpps State Secretary by Ambivalenz: An internal, minimalistic wall pocket made of canvas also offers space for a laptop, power supply unit, magazine and the like.